Switzerland Air offers comprehensive indoor air quality services in Lake Jackson, TX. Many homeowners aren’t aware of how important the air quality in their home is. It’s so important that the Environmental Protection Agency estimates that poor indoor air quality is one of the top 5 leading threats to respiratory health. Having an air filtration system installed in your home or getting duct repairs in Lake Jackson, TX is a great way to potentially improve the quality of air in your home. 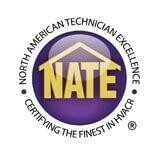 Our technicians are NATE certified which means that they can repair or install any type of air purification components. Whether you’re interested in having ultraviolet germicidal lights installed or if you need air filtration repairs in Lake Jackson, TX call the experts at Switzerland Air. We take our job seriously because we know how important your home’s comfort is. We stay focused on your satisfaction and on the quality of our work. When you’re ready to work with a professional indoor air quality contractor, call Switzerland Air. Air filters and air purifiers are a great way to make a positive impact on your home’s air quality. Switzerland Air offers complete air filtration installation and repairs in Lake Jackson, TX. We recommend Aprilaire products because of their commitment to quality. The Aprilaire Space Guard Filters are terrific for in–duct filtration systems. Call Switzerland Air if you have any questions about indoor air quality control systems in the Angleton, TX and Lake Jackson, TX. The Texas summers are hot and sticky which means that a good dehumidification system is a necessity for any home in the Lake Jackson, TX area. If you’re tired of your home being too humid, call the humidity experts at Switzerland Air. We offer complete dehumidifier repairs and installations in Lake Jackson, TX. We can install any type or brand of dehumidifier but we recommend Aprilaire to our customers. Aprilaire offers high quality whole–home dehumidification systems that will keep your air comfortable all year long. If you’re ready to really take control of your home’s air quality, ultraviolet germicidal lights are a great option. UV germicidal lights are installed in your ducts where they destroy organic contaminants in the air including bacteria, viruses and more. While UV light is only mildly irritating to humans in large quantities, it is lethal to many microorganisms. If you need UV germicidal light installation in Lake Jackson, TX call the experts at Switzerland Air. The ducts in your home are responsible for carrying all of the heated or cooled air in your home. Over time, ducts can start to develop holes. If cracks in your ducts aren’t sealed, it can allow conditioned air to escape. Switzerland Air offers complete duct sealing in Lake Jackson, TX. Sealing leaks in your ducts could potentially increase the efficiency of your home and reduce wasting energy. Duct problems occur because of insects, rodents or general wear and tear. If you need duct repair in Lake Jackson, TX call the experts at Switzerland Air. Improper installation is one of the most common reasons for duct repairs and duct replacement in the Angleton, TX area. Our technicians have years of experience working with all different types of ductwork. We can help you repair any issues that you have. Call us today. The ductwork in your home is critical to your home’s comfort. Keeping your ductwork in good working order should be a priority for every homeowner. Switzerland Air offers complete ductwork services throughout the Lake Jackson, TX area. Whether you need to have your ductwork repaired or if you need new ductwork installed, call the technicians at Switzerland Air.